Mostly sunny this morning then becoming cloudy during the afternoon. High 63F. Winds N at 5 to 10 mph.. Mainly cloudy. Low around 40F. Winds light and variable. Republican gubernatorial candidate Greg Gianforte speaks at recent press conference on the steps of the State Capitol in Helena in this Lee State Bureau file photo. Gov. Steve Bullock and Democratic organizers took aim at Republican gubernatorial candidate Greg Gianforte on Monday after an anonymous liberal blog surfaced a 2009 lawsuit filed by a family-owned company to kill a public access easement in Bozeman. East Gallatin LLC sued Montana Fish, Wildlife and Parks in May 2009 to remove an easement that provided public access along the East Gallatin River, arguing that users were damaging adjacent land, the original 1993 agreement by a previous owner was invalid and that the public had sufficient access via two other nearby sites. The complaint was filed to create a foothold for a case, but the papers were never served to the agency. The dispute was resolved after a department visit to the site in July 2009 led to trail and fence upgrades that did a better job keeping users off the rest of the Gianforte property and the agency updated records on the easement boundaries, according to state documents requested by the State Bureau. The incident provided fodder for Democrats who sought to extend their narrative that Gianforte is a wealthy transplant who won’t look out for the average Montanan, while highlighting Bullock’s work to strengthen the state’s stream access laws. Spokesman Jason Pitt denied that the Montana Democratic Party shared their research with the sympathetic Montana Cowgirl blog. Gianforte Campaign Spokesman Aaron Flint refuted the characterization of Gianforte as anti-access and accused opponents of selectively sharing the facts to manufacture a distraction from other recent news critical of Bullock. Gianforte on Tuesday emphasized that he supports public recreation access as a policy issue and on his own property through city, county and state easements. He said that his "opponents are not encumbered by the truth." The Gianfortes, either directly or through East Gallatin LLC, own several parcels of land along Manley Road near the East Gallatin River, according to state property records. Those parcels encompass much of the waterfront between the state-owned East Gallatin Recreation Area and the Cherry River Fishing Access Site, which include additional river access points and are separated by less than a mile. That section of the East Gallatin River sees plenty of recreation use, said Montana Fish, Wildlife and Parks regional fisheries manager Travis Horton. FWP recorded 15,000 angler days on the East Gallatin last year. The Cherry River site’s proximity to urban Bozeman likely plays a role in its popularity. It sits just off the bend where Seventh Avenue turns into an Interstate 90 frontage road. The area has two ponds and is close enough to businesses in town that it’s not uncommon to see people at the site during their summer lunch breaks. Over decades of use, an informal network of footpaths had formed along the stream’s bank. In 1993, FWP worked with David Manley and the Golf Course Partners of Bozeman, who owned the property at the time, to create a one-acre easement over two fingers of land formed by the snaking stream. A small trail angled toward the bank and the easement. Gianforte said his family first learned of the state easement when they received an FWP letter in 2008 and subsequently discovered that the title company had missed it when preparing the deed for his family's purchase of the property. The Gianfortes and other landowners first contacted FWP in writing about the easement in April 2008 through attorney Art Wittich, the Republican legislator recently convicted for multiple campaign violations. The letter Wittich sent to director Jeff Hagener asked the department to give up the easement. Hagener told Wittich he forwarded the issue to the department’s legal unit. Between then and the fall of 2010, the department and Wittich sent a slew of letters and emails about the issue. After the lawsuit was filed in May 2009, there was a meeting that July at the site where the issue was discussed. That winter Wittich sent a letter to FWP outlining a possible settlement that included building a new trail by the following year, something FWP had previously suggested. He also asked for reclamation of the old trail, posted no-trespassing signs and requested that the department treat noxious weeds at the access site that Wittich said grew onto the Gianfortes’ land. The Gianfortes agreed to build a fence running east to west along the border of the easement to discourage trespassing on their land. Once the new trail and signs were up, the Gianfortes would drop the lawsuit. During the back-and-forth, FWP put up signs, managed the land for weeds and built a new trail in July 2010, said agency attorney Rebecca Jakes Dockter. Gianforte said the original easement boundaries remain and much of the misunderstanding had arisen from the agency thinking it extended farther south than a survey showed it actually did. He described the resolution as amenable and in keeping with his support of public access for recreation. "At the end of the day, Fish, Wildlife and Parks came out and got this resolved," he said. "This points to the need for new leadership. It would've gotten resolved a lot faster if they had sought the facts rather than sending threatening letters." The communication between the two parties ended in winter 2010, Dockter said, when emails and mail from Wittich stopped. A settlement was never signed and in 2013 a judge dismissed the lawsuit because the department was never served. “It's also worth noting that Greg and Susan continued welcoming anglers with access to their property before, during, and after these discussions with FWP,” Flint wrote. Bullock declined to talk specifics of the case, but maintained that the act of filing a lawsuit that expressly sought to remove a public easement – even if the case was resolved amicably – seemed in conflict with Gianforte’s insistence that he supports public access. 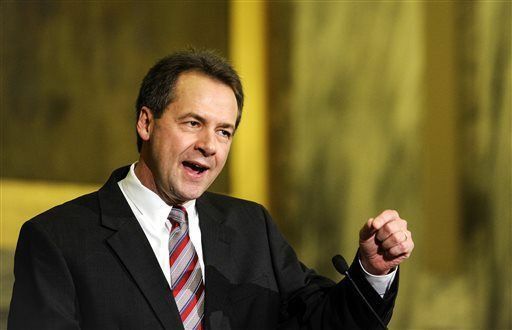 “I think this lawsuit sticks a thumb in the eye of all Montanans," Bullock said. "For the particulars, I’d have to have somebody else talk about that. But there was a valid easement that he sued to get rid of. I support the right of landowners to protect their land. That’s not at issue here. Reporter Tom Kuglin in Helena contributed to this story.